If you follow our IG stories, I shared with you what I received from my second Wantable shipment. Verdict- I think my personal Wantable stylist is getting to know me even more. 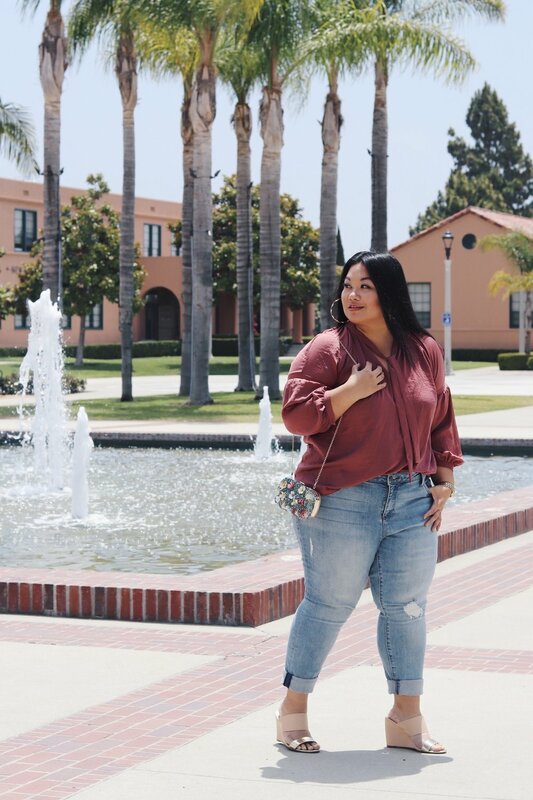 My Wantable style edit came with cute basics for work and as well as wearable everyday items. 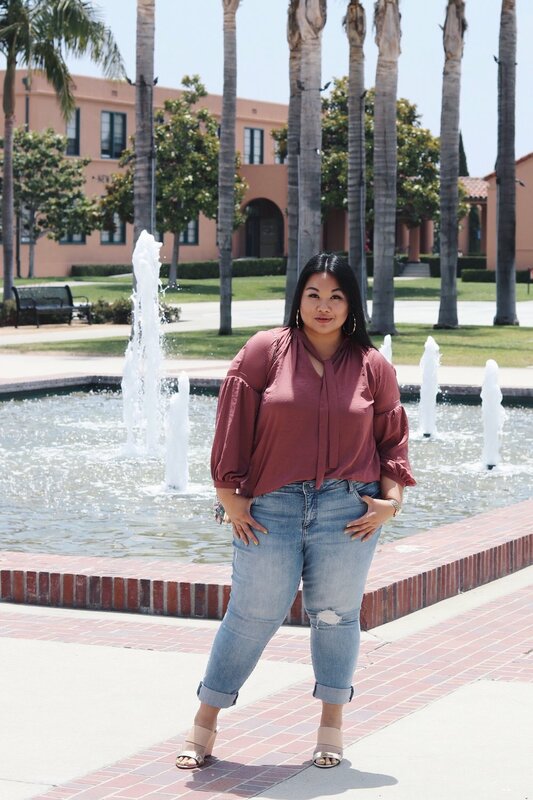 Since it's the weekend, I put together three Summer-friendly looks with three tops and jeans I currently cannot live without, all from Wantable. So if you're interested in a personal stylist to curate looks according to your personal taste delivered conveniently to your door, make sure to check-out Wantable. 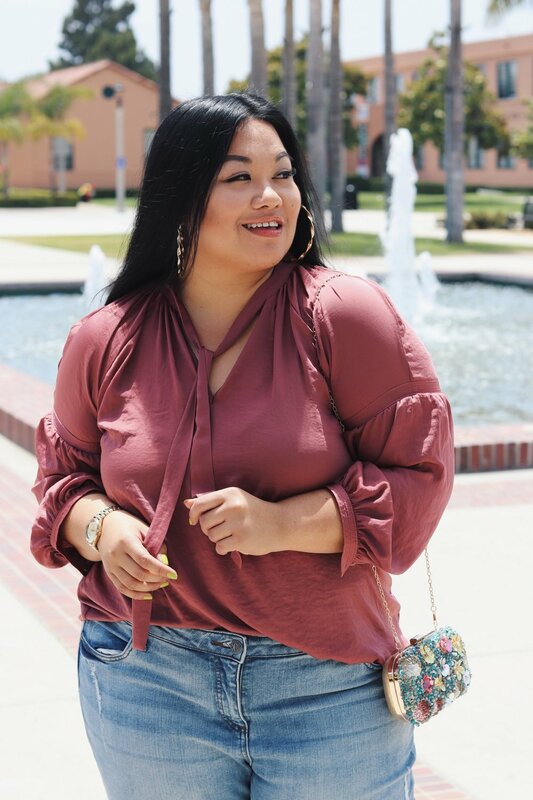 I love that Wantable sent over a blouse that is perfect for work but all I immediately thought about pairing this top with jeans for a simple date night. Just add feminine touches for a cool yet foxy outfit. Oh, and more on these jeans... I was on the hunt for this wash! So you know it's my new go-to. I can't get enough with this adorable-to-the-bone daisy-embroidered t-shirt from my Wantable style edit. 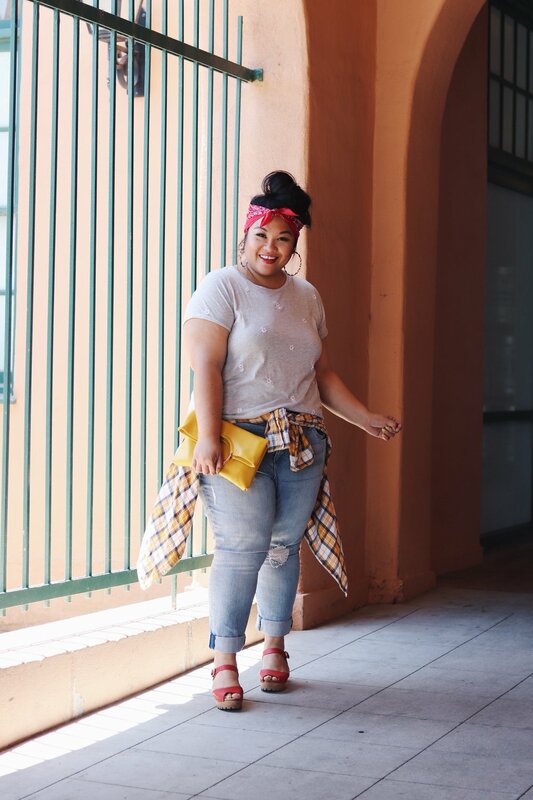 This yellow clutch from Wantable is so perfect with it and pairing it with the same jeans was perfect to shop around the public market. Remember the new clogs I mentioned in my last post? Here they are in all its Summer-ready glory! And of course I have to give credit to Queen B for this bandana action. 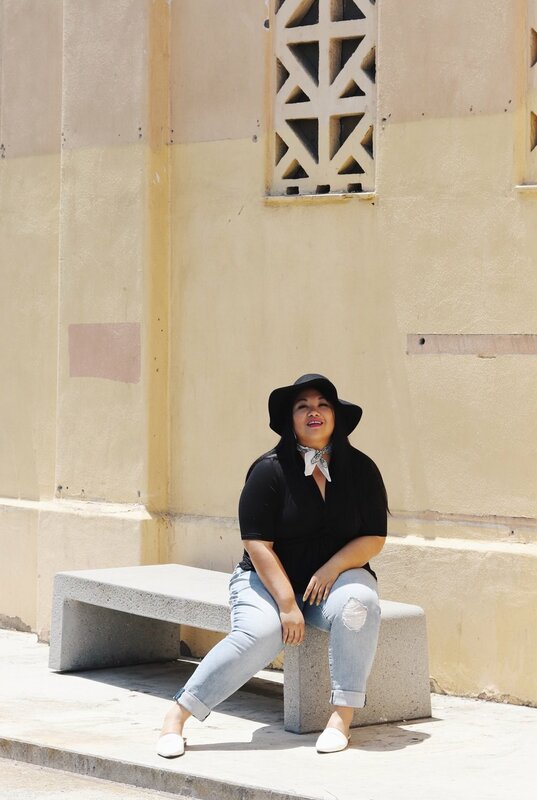 A black top is totally doable for warmer months! Just make sure to stay inside. 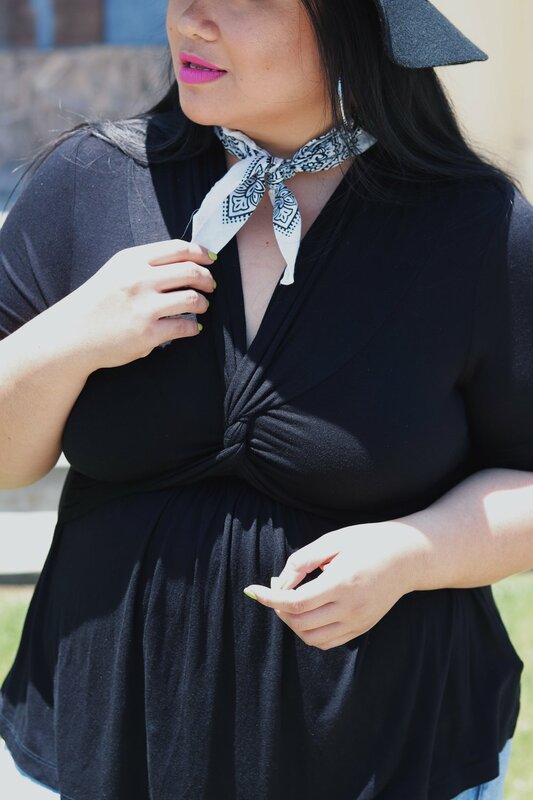 Ok ok... it was 74 degrees in San Diego last weekend I was honestly comfortable with this ultra soft tie-twist blouse. Added a floppy hat, white accessories, and I was ready to take on the weekend. Please do comment down below and let me know which is your favorite Wantable look. Happy first weekend of Summer 2018 everyone! DISCLAIMER: I WAS PROVIDED WITH PRODUCTS BY WANTABLE FOR THIS COLLABORATION. ALL THOUGHTS AND OPINIONS EXPRESSED HERIN ARE MY OWN AND NOT INFLUENCED BY THE DEVELOPING COMPANY, AND/OR ITS AFFILIATES, IN ANY WAY.